You just need to choose one of these, and you can start your discussion board in no time. Picking the one you need is always tricky, but this effort will help you build an online community that can be attractive with proper efforts. With a good start, you can also think of something big. My first option will always be phpBB as a free choice and vBulletin as a paid one. So, let’s see more options that are free and paid what all things do they have in their kit. This list of best forum software is based on my experiences, and hence I have ranked them accordingly. It is a free software package which allows you to make an easy, elegant, customizable and high-quality discussion forums. It is PHP based forum which uses MySQL as backend. It has tons of plugins, extension, and add-ons and you will never look another forum software if you start using it. vBulletin or vB is one of the most popular paid forum software on the internet. Many of the prominent websites using forum have taken vB as their first preference. It has so many great features like – photo albums, groups, event and task management, blog sites, calendar, forum and much more. With its latest version, you can get three types of elements – Publishing Suite, mobile suite and a classic panel that makes it possible for every forum publisher to grab their audience. A must-have for professional forum need. This is a free package manager which allows you to make fast, high-quality customizable forums. They provide an extendable support to their users. It is a new forum platform, that runs on a cloud-based community platform. With Tribe, you can easily integrate inbound marketing strategy that helps in building organic and target traffic with user-generated content. Its an interesting option worth trying in 2018. This is a package of free open source, standard and customizable forum. This site follows “Sales Up, Cost Down” approach. They provide you full flexibility for your forum design, single-sign-on capability for external sites and applications and flexible architecture which allows customized plugins. This paid forum software runs on PHP as many other ones. It has developed by a senior vBulletin developer and has a serious competitive environment at a lesser price. This forum system has some pretty good SEO features that we get to use in our daily routine of forum postings and managing. This is a PHP/MySQL based forum software developed by the creators of WordPress. This is simple, fast, secure and easy to use and easy to administrate. A modern community platform, featuring real-time forum discussions, user-friendly design, integrated blog, member directory, private messaging and PayPal integration for content monetization. PlushForums is a fast, secure cloud-hosted service that requires no plugins or technical knowledge to use. This is a PHP and MySQL open source forum software. Here you get the freedom to create your message board and do whatever you want. You can even rearrange your data in any form. This open source application has some unique features that allow you to extend your forum functionality to a supreme CMS. MyBB also has a large community where you can discuss your issues, and get help on various plugins and themes. Another paid forum platform that makes discussions more engaging in the forums point of view. It has almost all the features you will require to run a forum plus it has add-ons that support user shares and promoting content from your site. This lists of best and free forum software don’t end here. There are many such websites which provide you free forum software, and we will be listing more of them, so keep coming back to this article and tell us which one do you consider is the best. Thanks for listing best forum software, VBulletin is one of the popular with premium version. Other options are not bad for free version. really great share.. thanks for this.. This is really a good collection of software. Thanks for sharing with us. Thanks for notifying the best ones. How about NodeBB? It has got many positive reviews. I’m sorry that you couldn’t make it on the list. Nice list but missing some modern solutions in the “real-time” forum category, like PlushForums and NodeBB. When it comes the matter of premium forum software or online forum platforms, Vanilla Forums holds a top position. 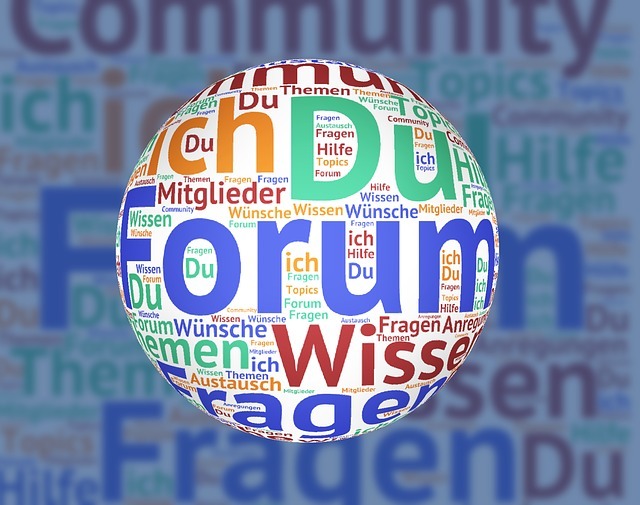 Vanilla community forum software is one of the top 10 best forum software 2016 and it offers hosted and open source community forum software that offers power to the usual discussion forums. You can create customized communities for better user participation, accurate content and also for allowing the members to drive moderations on your website. I just tried it and replies to topics weren’t showing up, by default. The #1 job the forum is supposed to do and it fails miserably. Anyone reading this, trust me, BB Press is NOT worth the effort. I will try one of the others. There are some great forums forgotten from this list: Discourse, NodeBB and Flarum. Looking to set up a private forum with topics where we can hopefully work on a joint document and upload files. “simple, fast, secure, easy to use and easy to administrate” should stand for miniBB. They have been validated by Acunetix and bunch of other security checkers, and they have a very stable version by now, security fixes are released rarely because there are no leaks. Not saying it’s quick and small enough to adjust to any website, incl. membership. This is a sh*t list. The best forum software, by far, is Discourse. I dunno dude. Discourse uses PostgreSQL which will eliminate a lot of people using hosting that only provides a panel (like cPanel). On top of that it requires Docker which eliminates people who own their own servers/VPSs but don’t want to through the trouble of setting up Docker just for forums (epically if it’s just something they want to add to their site at a later date). Also, I sort of have concerns about Discourse on lower end hardware because of it’s use of PostgreSQL as a backend. From the perspective of user experience, discourse wins hands down. Discourse isn’t PHP or MySQL though. If you are only shopping around in the PHP/MySQL world then these are what you’re stuck with, but if you want the best open source solution, you’ll need to broaden your horizons. What the hell about Elkarte? Why was this forum software skipped? If you looking for CMS with multi language, e-commerce, social functions, blogging and online messaging support – you should try Nodes Studio (nodes-studio.com ). GREAT ARTICLE ARTICLE SIR ALL THE FORUMS SOFTWARE YOU MENTIONED WERE EXCELLENT. I WAS THINKING ABOUT STARTING MY OWN FORUM AND THIS IS THE BEST BLOG THROUGH WHICH WE CAN GET ALL THE SOFTWARE DETAILS AND THANKYOU FOR YOUR ASSIST SIR. The title is “10 Best Free Forum Software in 2016” but IPS and vB are included in the list. “This list of best forum software is based on my experiences” and “My first option will always be phpBB as a free choice” but phpBB is only the third point in the list. I don`t get it how all these things agree with each other. Why do you say vb and ips are bad ? I’m between those 2.
vBulletin version 4 is really poor. It does not autosave your post while you are typing, discards what you have typed into the reply field if you stay too long on the page (security code becomes expired then). Additionally, it often takes several attempts to upload an attachment in Firefox, and there are other problems. I now first write in Word then only copy text to reply field before sending. I really cannot recommend this software. Setting up a forum still is much to technical and the first one to really develop a fail-proof simple forum system will surely gain attention. Forum software should be much more focused on “Mobile First” development. I was hoping Flarum would step into this direction but it will take another 10 years for them to release a stable version. Please suggest a free forum which supports ” Invite only registration ” feature.